Fire and Ice. The two most popular of the four elements, and when we get to see them clash in the most beautiful way in a wedding theme we cannot get enough of it. 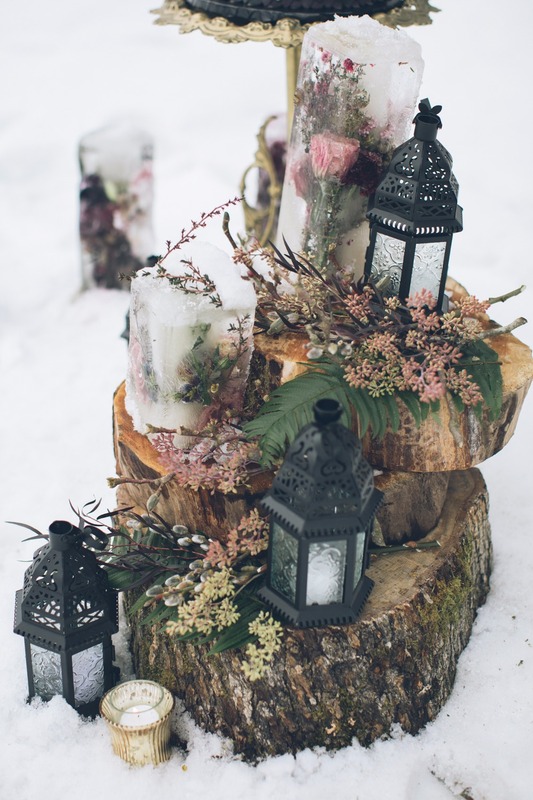 This wintery wedding inspiration in the snowy landscape of Hood River, Oregon has us anxiously anticipating this next white winter. 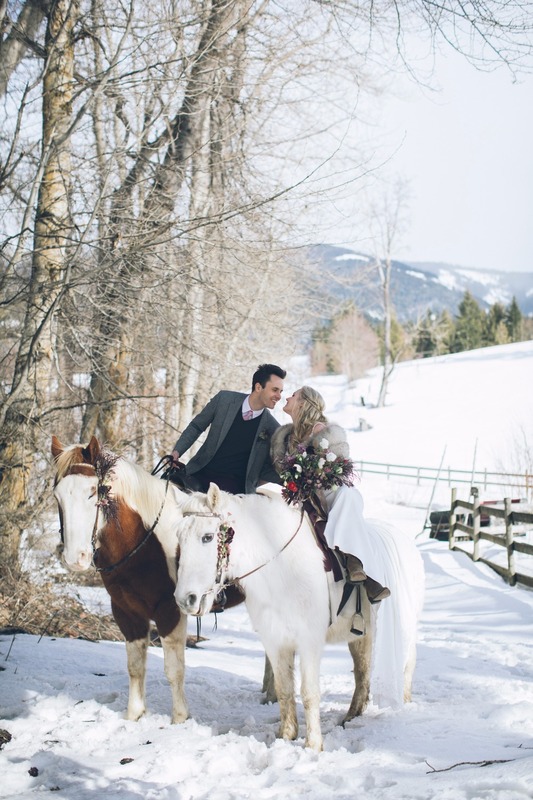 From the floral accented bridals on the bride and grooms horses to the frozen floral arrangements, these ideas are so cool they are going to set your imagination on fire! 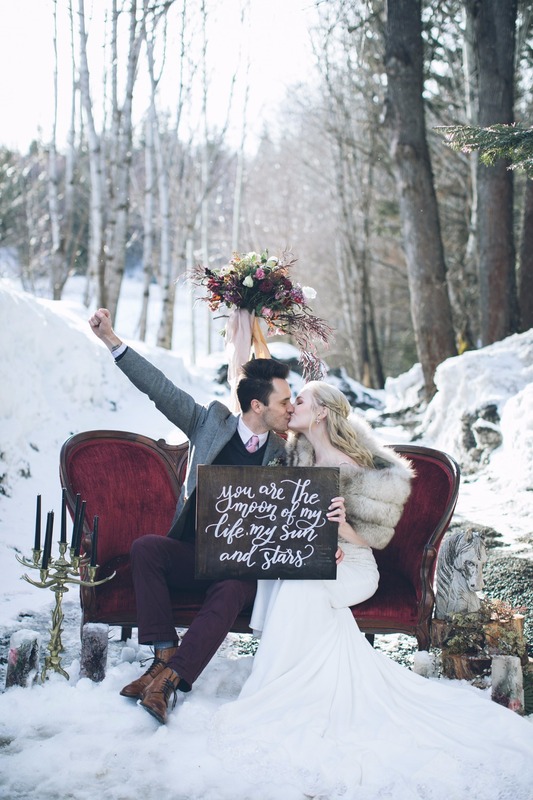 So enjoy these white winter wedding ideas that will warm your heart, we have a full slideshow packed with images from Aniko Productions and every picture perfect detail that Once Upon A Happy Ending Events created is just waiting to surprise you! 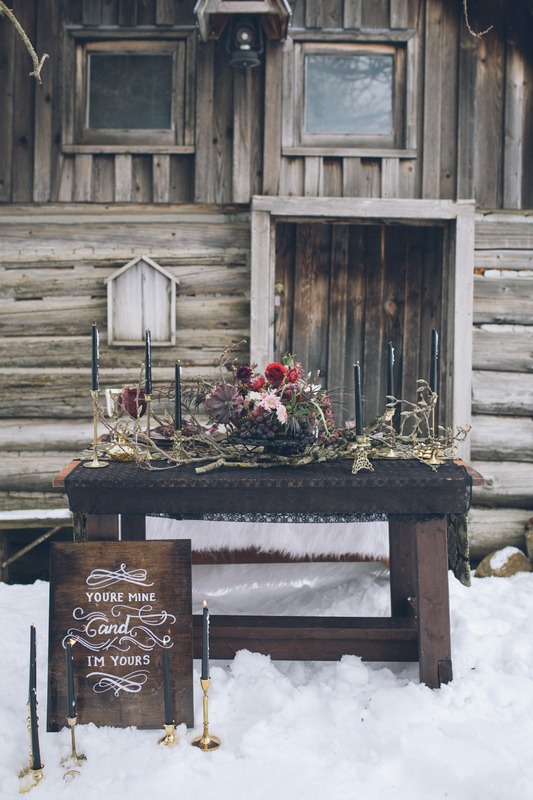 Check out the wedding film from Watertown Films below to get a closer look at this fire and ice winter wedding!